As per a report, UP Board high school and intermediate result 2019 may be released early this year, that is between 22nd - 24th April. 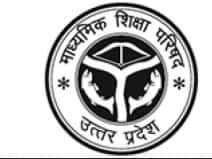 Uttar Pradesh Secondary Education Board (UP Board - Uttar Pradesh Madhyamik Shiksha Parishad - UPMSP) conducts examinations of high school (Matriculation or 10th) and Intermediate examinations (Class 12) every year. UP Board High School Exam 2019 and UP Board Intermediate Exam 2019 will be held in the month of February. Every year, approximately 35 lakh students take up high school exam and around 30 lakh students take up Inter exam. Last Year high school overall pass percentage was recorded at 75.16. And Inter overall pass percentage was 72.43. Girls had outperformed boys in both high school and inter results. In high school, girls did better than boys with a pass percentage of 78.8% percent against boys' 72.3 percent. In Inter, girls secured a pass percentage of 78.4% against 67.4% for boys. In 2018, high school exam ended on 22 Feb and Inter exam ended on 12 March. Result of both high school and inter was announced on the same day 29th April 2018. In 2019 UP Board will declare the high school and inter exam results in the month of April. Students can check the results of the UP Board high school and inter examination result on www.livehindustan.com. Apart from this, the results can be checked on the official website of the Board.